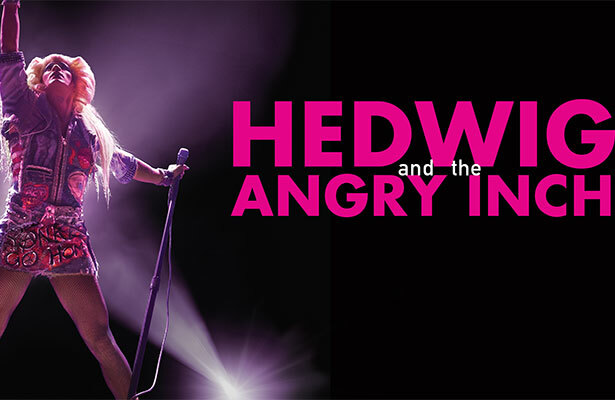 They dusted off the rarely used Forrest Theater for this touring production of Hedwig and the Angry Inch, a twenty-year-old rock musical which was itself recently dusted off for a 2014 Broadway revival. The music—loud hard rock complete with strobe light frenzies—may be dusty, but the central transgender issues are definitely not. The show’s plot is the life story of one Hansel, a “girly boy” from East Berlin who longs to find him/herself; the Berlin Wall serves as an easy metaphor for transgendered feeling of self-division, of having been born on “the other side.” After a botched surgery, leaving Hedwig (Euan Morton) with an “angry inch,” we follow her life as drag queen searching for love, finding it, and then losing it. An “internationally ignored” rock star, the one-night-only show Hedwig puts on replaces a failed musical adaptation of “The Hurt Locker” (fake playbills are strewn around on the Forrest’s floor) which, we’re told, opened the night before and then closed at intermission. There is a backup band, a group of musicians where the joke is that their names are unpronounceable; they are led by Yitzhak (Hannah Corneau), the “last Jewish drag queen in Zagreb” whose stage name is Krytal Nacht. He is played by a woman who then becomes a man in drag. It’s nearly Shakespearean in its gender-bending, although much of this sexual-political wit gets lost in the noise. Euan Morton’s Hedwig is, for more than half the show, wickedly self-parodying. He can deliver the pathos (“I cry because I’ll laugh if I don’t”) as well as the funny, brash style. But then, by the end, without wig or costume, he becomes a sentimental Hedwig, a guy in nothing but briefs taking himself very seriously. And a word of warning to men in seats close to the stage: she’s coming for you. 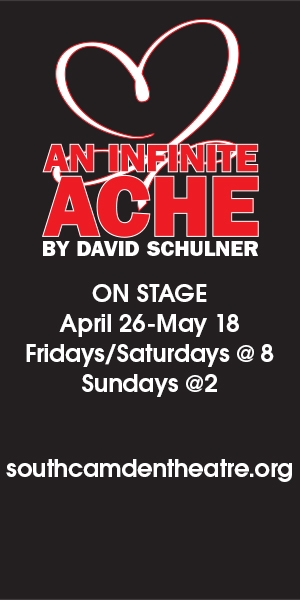 This production is based on Michael Mayer’s Broadway direction. The show’s book is by John Cameron Mitchell and the music and lyrics by Stephen Trask—although frequently the clever lyrics are swallowed. The wigs, “morally ambiguous hair” designed by Mike Potter are the star of the show. Arianne Phillips designed the costumes; apparently enough time has passed so that studded leather jackets and glitter denim are back. Moral of the story: throw nothing out.